X Tattoo Removal » Meet Dr. Acharya, The Medical Director for the X-Tattoo program. Meet Dr. Acharya, The Medical Director for the X-Tattoo program. Dr. Acharya is a graduate of B.J. Medical College, Ahmedabad, India. He completed an internship at Mt. Sinai School of Medicine in New York followed by a residency in General Surgery at the Univ. of Massachusetts. The Doctor completed his Plastic and Reconstructive Surgery training at the Medical College of Virginia. 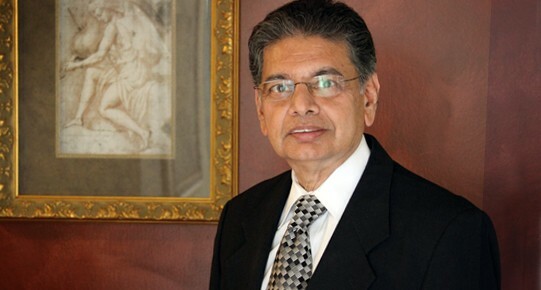 Dr. Acharya remained there as an assistant Professor before he decided to move to Phoenix in 1980. Dr. Acharya is certified by the American Board of Plastic Surgery and the American Board of Surgery. He has been practicing for over 30 years. Dr. Acharya is a member of the American Society of Plastic Surgeons, American Society of Aesthetic Plastic Surgeons, Fellow of the American College of Surgeons and Fellow of the International College of Surgeons. Dr. Acharya has performed thousands of Plastic Surgery procedures utilizing the latest surgical techniques. His interest include all aspects of Cosmetic Surgery and Reconstructive Surgery. He is involved in teaching, research and is on the clinical faculty of the Mayo Clinic College of Medicine. He has also done medical missionary work to repair birth defects and war injuries. Locally, he is the Medical Director for the X-Tattoo program. He has also been involved with Rotary International being a club President and a Paul Harris Fellow.